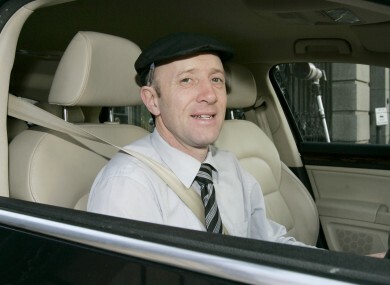 THE INDEPENDENT TD Michael Healy-Rae has welcomed news that the government is set to bring in a new licence plate system next year partly because of fears that a ’13′ in the registration number will hit car sales. The Kerry TD was responding to a report in yesterday’s Irish Independent which said the government is to bring in the measure at the next budget. Though the Department of Finance declined to comment on matters related to Budget 2013, Healy-Rae feels vindicated by the news after he said his idea, which he told TheJournal.ie about in February, was ridiculed in the media and laughed at in the Dáil. He told TheJournal.ie yesterday: “I know a lot of people in the media had ridiculed the issue when I started campaigning for it and when I raised it in the Dáil and people thought it was just a big laugh. “I was interested in protecting jobs in the motor industry. Traditionally people wishing to purchase a new car do so in January and the early months of a new year but then car sales often tail off in the latter half of a year putting financial pressure on car dealerships. The new measure, according to the Irish Independent yesterday, will see cars registered between January and June have a ’131′ registration. While those from July to December will have ’132′ on their licence plate. “I was the only person that raised it and instead of being assisted in certain sections of the media, all that was done was that I was ridiculed for it,” Healy-Rae continued, noting that yesterday’s story made no mention of him which he said was “ironic”. The Kerry South TD continued: “I am the first person that will agree with the Minister if they do something that is correct. So it’s a positive story. The Department of Finance said that it would not comment on the story as it is a matter that would be considered in the context of December’s Budget. Email “Healy-Rae vindicated as 2013 licence plates to avoid 'unlucky 13'”. Feedback on “Healy-Rae vindicated as 2013 licence plates to avoid 'unlucky 13'”.